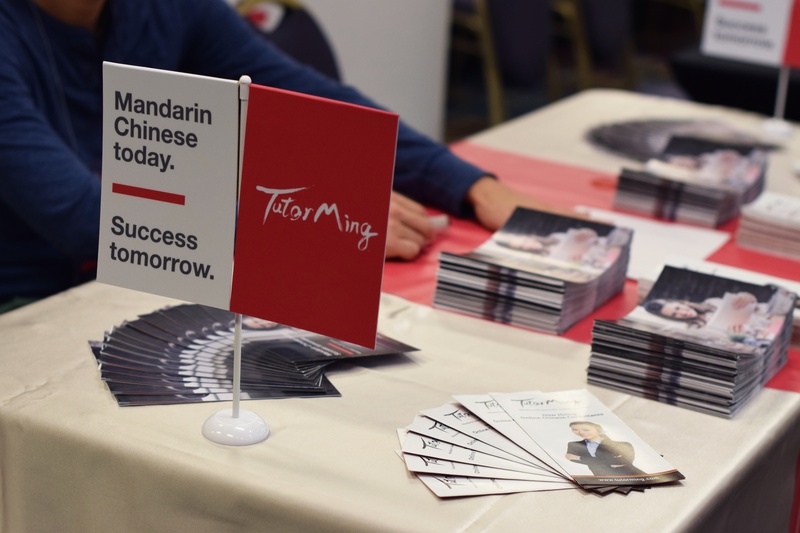 On Thursday, April 28th 2016, TutorMing kicked off their debut at the National Chinese Language Conference. This year, the conference was held in Chicago. Over 1,300 people attended, many of them Chinese teachers, school administrators, and even some U.S officials. The conference lasted a total of three days. During this time, Chinese teachers could trade teaching method insights, and school administrators could learn more about adding or enhancing their Chinese language programs. 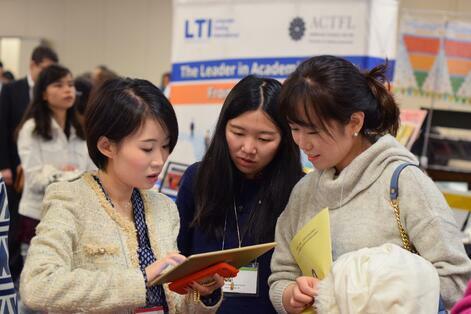 An exhibitor floor was also open, allowing publishers, app developers, and other businesses in the Chinese learning space to display their products and services. The only business of its kind in attendance, TutorMing represented a cutting-edge sector of education technology. 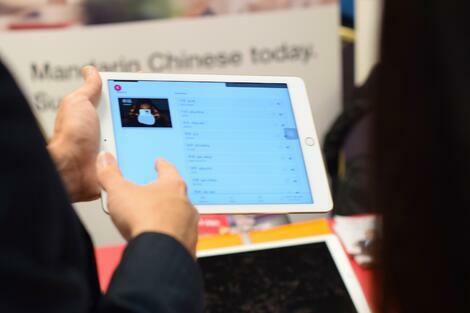 Armed with four iPads, TutorMing representatives showcased their new mobile classroom app, which allows students to book Chinese classes, interact with live teachers, and review their vocabulary. The lesson videos are also saved, so the student can return later to analyze their pronunciation and speaking skills. 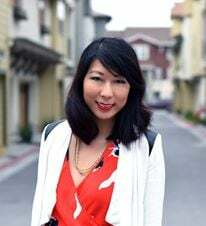 “One of the great things we do is eliminate the time difference completely,” says Huan Chou, Director of Business Development at TutorMing. “We can connect our students to a professional Chinese teacher no matter what time zone they’re in.” This helps solve one of the biggest issues in Chinese language programs in the U.S, which is a lack of resources. Frequent exposure to the target language and proper guidance is key to second language acquisition, TutorMing provides a pivotal role in helping students go from just learning about Chinese to turning it into a second language they can actually use. This after-school exposure opportunity is a catalyst for student's ability to turn their Chinese learning experience as a means to an end, rather than an end itself. With its professionalism and breadth of education at both the K-12 and collegiate level, TutorMing was very well received at NCLC. TutorMing plans to return to NCLC next year, where the conference will be held in Houston, Texas. WANT To Help Your Kids Learn CHINESE? JOIN TUTORMING TO LEARN MORE!